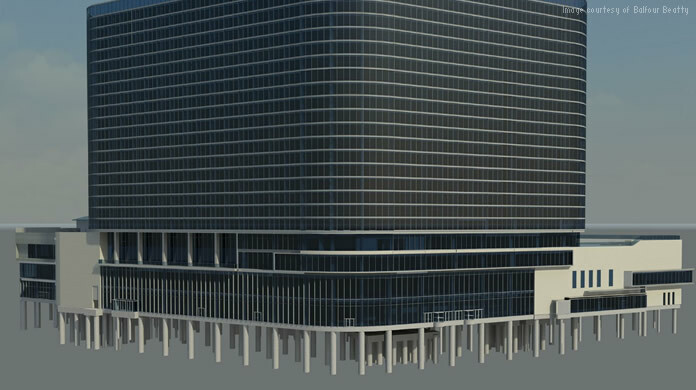 Balfour Beatty used Building Information Modeling (BIM) to construct the 23-story, 1,001-room Omni Dallas Hotel. The luxury hotel, constructed adjacent to the city's convention center, was built to help the city reap the economic benefits of large conventions. Autodesk BIM solutions helped the company beat its construction schedule by 2 months. Balfour Beatty used BIM to explore multiple design options as decisions were being made. With multiple options to evaluate, clients were able to make more informed decisions to determine the optimal design. By incorporating subcontractors into its BIM process, Balfour Beatty was able to reduce clashes before getting into the field, reducing RFIs by as much as 50%. Subcontractors used coordinated, 3D models to fabricate and assemble building components off-site, accelerating the pace of the project and beating construction schedules by 2 months.